Author(s) White, Rob; White, Rob; Haines, Fiona; Haines, Fiona; Asquith, Nicole L.; Asquith, Nicole L.
Crime & Criminology provides a concise yet comprehensive introduction to the study of crime. 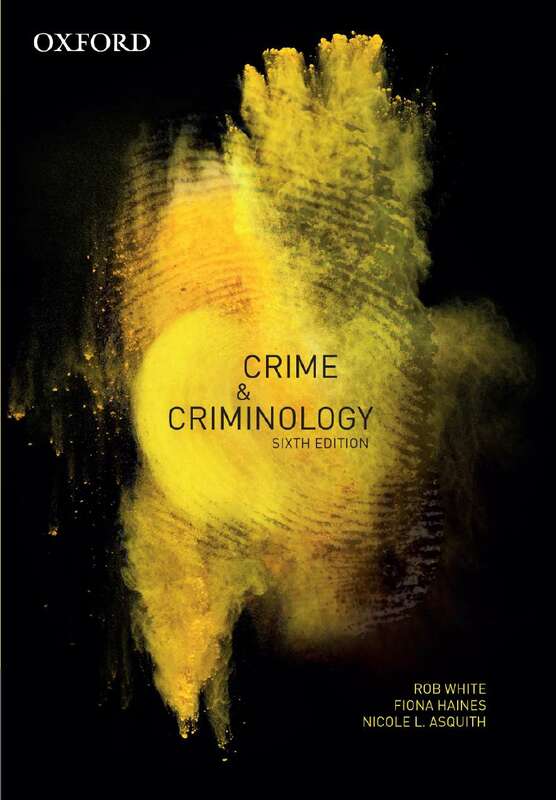 The sixth edition explores the key theories that explain criminal behaviour in society, providing students with the opportunity to evaluate how criminologists employ these theories in their analysis of criminological issues. Written by an expert author team, this twentieth anniversary edition has been thoroughly updated to include new examples and expand on the new directions in crime and criminology. The book includes learning features designed to engage students in criminology by demonstrating how criminological theory can be placed in both a historical and contemporary context and how it both frames and draws from research. It provides learning pathways beyond specific theories, providing students with the skills to understand their own theoretical perspectives and understand the social context, history and concepts of each criminological theory. NEW TO THIS EDITIONSignificant revision to key chapters: Expanded coverage of bio-criminological and psychological positivismChapter 7: Feminist PerspectivesChapter 8: Realist ApproachesChapter 9: Republican Theory and Restorative JusticeA new chapter on Cultural and Postmodern Criminology.